To ensure the success of its mission and the sustainability of the Group, Ergoresearch has set up a long-term strategy that rests on three main pillars: Innovation, Acquisitions on Canadian Market and International Development via partnerships, licenses or manufacturing agencies. Innovation at every level – products, services and marketing – is our strategy’s driving force and the cornerstone for quality client relations, be they professionals in orthopedics, or patients. 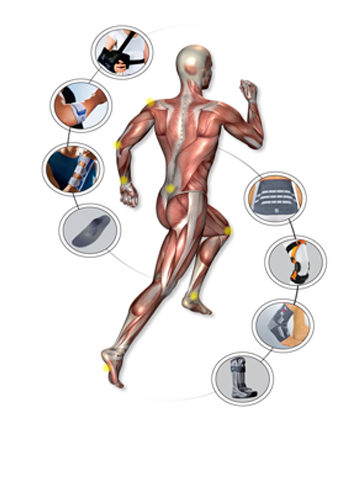 The Ergoresearch approach is unique: Rooted in innovation and research, it is a trend-setter in the field of orthopedics. The company has the advantage of developing its own technologies in a rigorous clinical setting where patient benefits remain the core preoccupation of every team member. Our growth strategy is in turn mainly orchestrated around acquisitions or partnerships. The acquisition of orthopedic prescription laboratories represents a significant percentage of business revenue, generated through the sale of custom-fit foot orthotics. While Ergoresearch’s efforts began in Quebec and spread across Canada, they now include a full North-American market. The implementation of the Ergoresearch concept has brought some important strategic advantages, merchandise price cuts and a substantial increase in revenues. Vertical integration and staked shareholder control has enabled the company to deploy its innovations in a controlled environment, and therefore ensure the reproduction of optimal impacts in respect with the firm’s ownership policies. Organic growth is supported by sturdy clinical and marketing toolboxes and a full network of healthcare professionals. Mobile Internet tools enable the company to offer services at what are known as ‘satellite’ medical clinics and meet patients in person, at the clinic of their choice. Such strategies ensure an increase in client visits and in domestic market shares. International markets are approached via a full range of business opportunities. Ergoresearch’s directors do not hesitate to adapt their business model and strategies for infiltrating a new market once they have come to terms with its specificities. On the American market for instance, where the legal environment is very hostile to this type of acquisition, the company has no plans to acquire a network of clinics. It has been determined instead that an Ergoresearch product launch would take place on a manufacturing platform.